I'm so excited to begin the countdown to MY VAMPIRE KNIGHT's release! I've got goodies and giveaways coming your way every day until it releases on June 9th! I've got all kinds of summer fun to giveaway. Signed paperbacks, purses, beach bags! So much awesome! And then after it releases, I have more surprises. You're first gift is a screen saver or wallpaper for your phone, tablet, or laptop. I write about soul mates in my books. Whether I'm writing as Emma or Krystal, my love stories are almost always going to be centered around the hero and heroine finding their soul mate. The right person for them. Maybe there's not just one perfect person in the world for everyone. But I do believe that there are people out there who are compliments to ourselves. Certain imperfect people who are perfect for us. Calliope and Godric both needed something desperately from each other. And they ultimately provided what the other needed. Perhaps it wasn't always smooth sailing, (You know me, nothing is ever easy for my characters) but they persevered and they found the light through the darkness. For me, this is what really makes a satisfying romance. USA TODAY BESTSELLING Author Krystal Shannan leads readers on a breathtaking journey through the heart-stopping final book of her bestselling Sanctuary, Texas series. Fans of paranormal authors such as Patricia Briggs will love this urban fantasy adventure packed with shifters, magic, and spell-binding romance. Get your copy today! COUNTDOWN TO RELEASE – DAY 1 GIVEAWAY! Fun in the sun! Beach bag, towel, swag, and signed paperback! oh how i love the sanctuary series! can not wait for the new one! Love this series…I’m so glad I stumbled upon it. Your new book looks amazing!!! I can’t wait to read it!!! Thanks for writing “Sanctuary” it’s one of my favorite series of all time! And thanks for being the amazing person you are! This is going to be an awesome book. Will be sorry to see the end of our Sanctuary friends. I have not pre-ordered it yet, but I am looking forward to reading it. I haven’t had a chance, or the money after my boys 2 bdays 2 days apart lol, to preorder but I’m super excited for the release!! Love Krystal’s work. Can’t wait for this new one! This book sounds amazing. I can’t wait to read this. WOW ! This book looks great ! Love soul mate series!!! Super excited for the release! I haven’t preordered it yet. I have not pre-ordered yet. I am going to read the first book to see how I like it. It looks very interesting. Thank you! Can’t wait for the new book to come! Can’t wait for this book. A great read on a great day(son’s last school day). I have not preordered. I have a tendency to preorder books multiple times. Krystal, I love the cover, haven’t ordered yet. I need to wait till payday. Krystal – Love your books. Yep! It is ordered. Look forward to reading it. Thank you. I have not preordered . Thank you for the awesome books. Thank you for the books and giveaway!!!!! I haven’t per-ordered.But it sure looks good. Cannot wait to start reading book!!! I haven’t, but looking forward to checking it out! I haven’t yet but can’t wait for it! I haven’t pre-ordered..I just got a Kindle and am learning how to use it..lol! 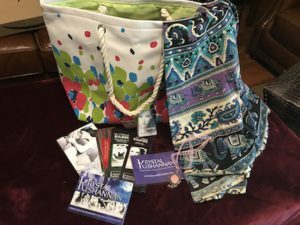 What a fabulous series, an exciting new book in the series, and an excellent giveaway! Thank you for all 3!!! I’m not into the pre order thing. Done it once… I’ll wait for it come out. Your new book sounds great! Would love to win! Thanks!! Love this series, looking forward to the new release! Not yet…I have to wait…I’m sorry!! I’ve preordered and looking for to reading your new release. I have indeed pre-ordered book 6! Can’t wait! Looks like a great new series and I’ve not preordered yet but will soon. Got my book ordered. Can’t wait for it to release! I haven’t preordered yet. It will have to wait to get until later in the month. Too many graduates and birthdays lol. Not yet, but cant wait to get my hands on it. I haven’t! Shame on me! No, I haven’t pre-ordered yet. At the moment it’s not in my budget, hoping it will be soon. No, I haven’t pre-ordered MY VAMPIRE KNIGHT. I can’t wait to read this one! I haven’t pre-ordered yet. Thanks for the chance! No, I haven’t pre-ordered this book yet. I have! I’m so excited about this one. No, I haven’t pre-ordered it. No I haven’t pre-ordered it but can’t wait to buy it sounds like a hreat book, thank you for this chance! Yep, as soon as it went up on amazon. Yes!! I did order it… I can not wait!! I have not yet pre-ordered the book, but it sounds amazing. Its an off pay week for me so I have to wait…..but I’ll be getting it thats for sure. I haven’t yet since I’m still getting caught up on the series. Haven’t preordered.Have to get it the 14th. I have not pre-ordered it. I need to catch up with the series first! What a great summer starter! Yay! I just purchased the book from Amazon. I can’t wait to start reading it. Looking forward to the next one!! Love them so far – pretty sure I won’t be disappointed! My good friend ordered for me!!!! Missed the pre-order. Thanks for all the giveaways! Not yet. No book money.